The aspect of “pink” that I am debunking is the stereotypical thinking of “blue for boys, pink for girls”. As mentioned in the exhibition at FIT, pink has historically been the most divisive of colors. Many clothes companies and industries have created advertisements and images of girls wearing pink to sell their clothes and maximize their profits. As people are exposed by the stereotypical image of pink on mass media that they created, many people tend to think that pink is for girls. However, I am standing against this idea of “pink for girls” by showing a fully grown man wearing pink from head to toe, conveying that color pink is not divisive of gender, but is worn and used by both men and women. 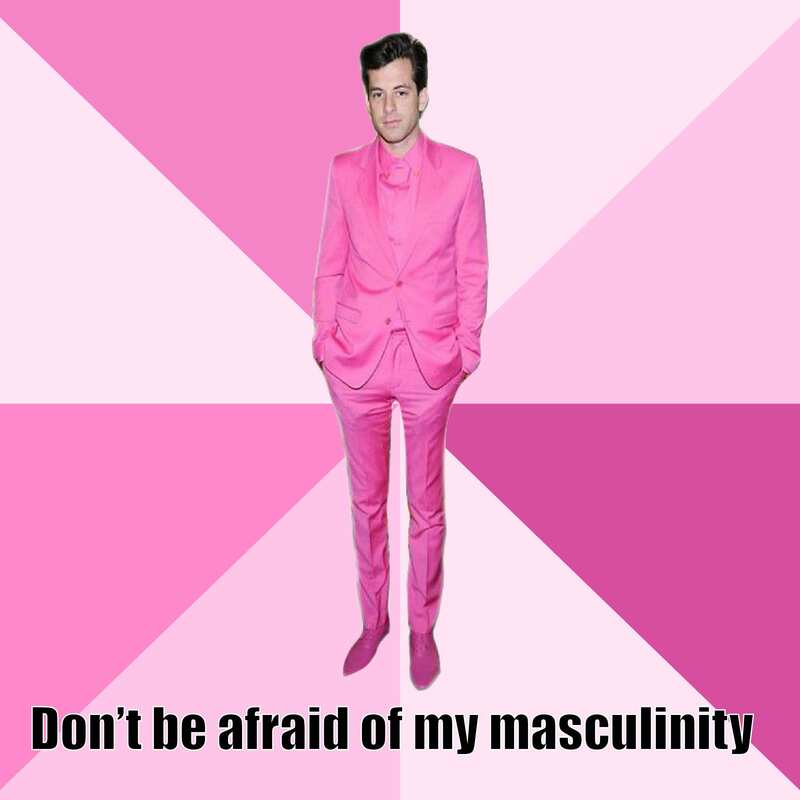 I also tried to debunk the idea of pink associated with prettiness, romanticism, femininity by relating the image with ‘masculinity’.